Fitzgerald Realty Group, Inc. is honored by the nomination of The Firehouse property for the 2019 Modern Masterpiece Award — one of the prestigious categories in the Frederick County Real Estate Dealmakers (FRED) Awards ceremony, hosted by the Frederick County Office of Economic Development. The FRED Awards honors the most successful commercial real estate transactions and projects of the year, as well as the local teams and individuals involved who made their visions a reality. The Modern Masterpiece Award specifically recognizes the unique challenges faced when renovating older or historic local properties into spaces that contribute to downtown revitalization. 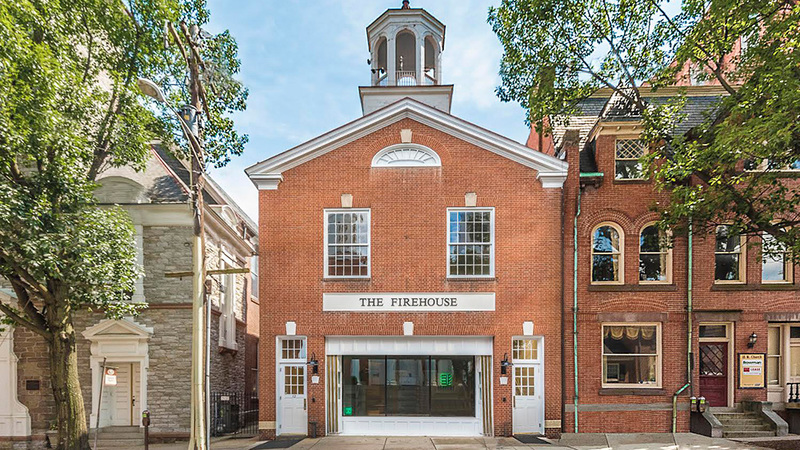 The Firehouse, located at 12 West Church Street in Downtown Frederick is the perfect example of a Modern Masterpiece. The building was originally constructed as a firehouse in the mid-1800’s and was converted into commercial offices in the late 1990’s. It was more recently purchased and renovated into a modern spectacular office building offering unique suites while keeping its original charm. Fitzgerald Realty Group, Inc. is the listing agent for The Firehouse, which is owned by Ruppert Properties — a close partner of Fitzgerald Realty Group, Inc. The newly-renovated space includes both private and open-floor-plan spaces in a great location right in the heart of Downtown Frederick, which makes it ideal for tech, financial, legal, creative, professional, and other business uses. It also features modern amenities, including an updated lobby, new finishes, and a relaxing courtyard with patio. Tenants can enjoy all that downtown has to offer, with popular shops, cafes, and restaurants within a short walking distance. This is the third year of the FRED Awards, and Fitzgerald Realty Group Inc.’s second nomination. The Monocacy Trading Center property won the 2017 Modern Masterpiece Award, with Ruppert Properties as the owner/developer and Fitzgerald Realty Group, Inc. credited as the listing agent. This year’s winners will be announced on Thursday, April 11, 2019, during the FRED Awards ceremony. The event is expected to have over 100 professional attendees gathering to celebrate from Frederick County’s commercial real estate, design and construction industries. "FRG's incredible market knowledge was invaluable when we suddenly had to move our office overseas and needed to find a tenant to take over our office space. They were familiar with the other buildings we would be competing with, and their knowledge of recent lease deals was a big help in positioning our space for maximum exposure. They clearly know their market." © 2018 Fitzgerald Realty Group Inc.